Get started making the beautiful Birthstone Series by MJ Kinman. 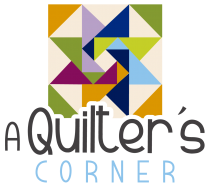 This six hour class will feature techniques in single-foundation piecing - not your typical paper piecing. This class is great for confident beginners and beyond. This class will help you begin all of the future Birthstone Series. You will then be able to continue monthly classes with each featured block. 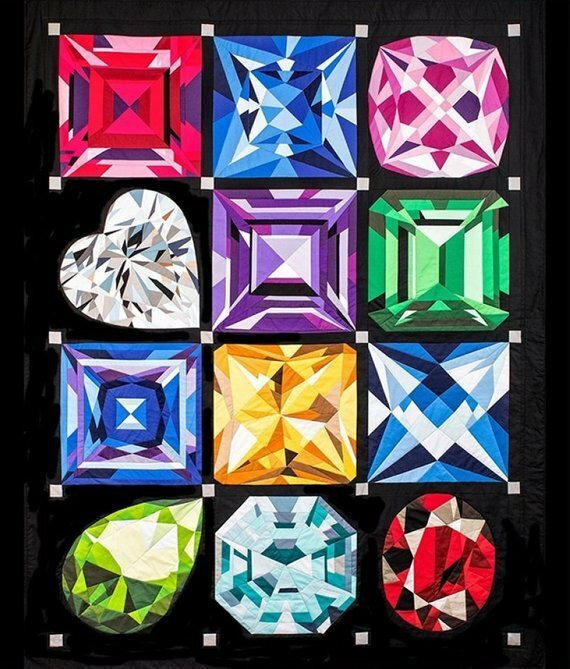 There are 12 beautiful birthstone blocks waiting for you in this fun block of the month. All blocks are created using a technique called single-foundation piecing (not typical paper piecing) but each has it’s own challenge. Each month’s pattern contains a fully coded freezer paper template, a full scale paper key, and a 12 page pattern booklet. Each block is a bold 17” block when finished and joined by black sashing that makes them seem to float to make a quilt. Pattern and a fat quarters kit is required each month to complete the block. Requirements: A fabric kit and pattern will be required for this class. This will be what is needed for your first block of the month class. Please bring an add-a-quarter ruler and wonder clips.